Dr Joy Tripovich is a animal ecologist from the University of New South Wales. 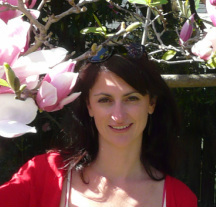 She has particular interests in animal behaviour, welfare and sensory ecology. Joy's research investigates how animals adapt to natural and anthropogenic environmental changes. Her current research examines the impact of noise and air quality changes on the health and welfare of animals.